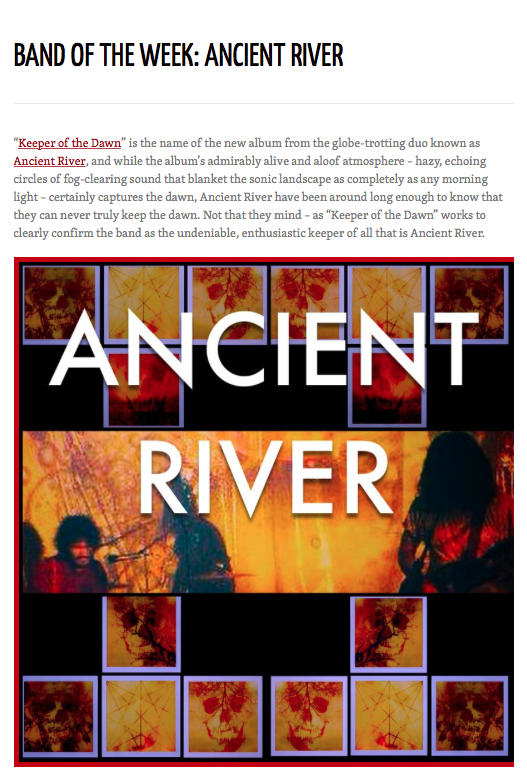 "Ancient River are so dialed-in to their individual current at this moment – a current strengthened, without question, by the duo’s relentless touring – that the entire album becomes more than a sum of its parts, just as the dawn can be felt each morning as something more than our moon momentarily disappearing from view. Ancient River has turned over time to also be much more than the sum of its parts, and on 'Keeper of the Dawn,' to simply be Ancient River. The album is a keeper in a thousand different ways."